08 Feb Mark Sands R.I.P. It is with great sadness that we learned of our former student Mark Sands’ passing on Sunday 3rd February 2019. Mark graduated with our class of 2016 and began his Computer Science Degree in UCD. 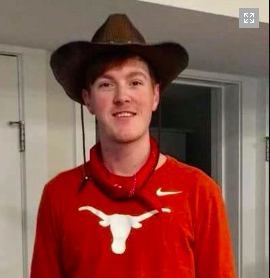 Last September, 2018 Mark started his exchange year at the University of Austin, Texas and fulfilled his life-long ambition to study in America. Mark, during his six years here at Dundalk Grammar School, achieved great success in his academic studies. Not only one of our highest achievers, he also displayed great social skills through the many hundreds of followers of his Vine videos. A natural talent and widely known for his compassion, sense of humour and generosity of spirit, his parting gift was to donate his organs so that four people’s lives could be saved. We consider ourselves thankful, privileged and blessed to have witnessed over the years Mark’s growth and exceptional achievements. Mark brought joy to all who knew him. We send our deepest sympathies to Mark’s family at this time.